The Western Bulldogs are pleased to announce the arrival of women’s football pioneer Debbie Lee to the Club. Lee, who has previously been involved with Melbourne’s AFLW team, has joined the Bulldogs as General Manager of Women’s Football. Lee will play a key role in overseeing the Club’s AFLW program, including facilitating the development pathways of players, coaches, medical and volunteers in the VFLW system, working with the Bulldogs’ Next Generation Academy to assist with girls’ football pathway programs, and leveraging the Bulldogs’ women’s commercial partners. “Debbie’s experience and knowledge of women’s football is second to none, and we’re thrilled to welcome her to the Western Bulldogs,” said the Club’s Director of Football, Chris Grant. “We have made a significant investment in women’s football over the last few years, and this appointment further strengthens our ability to deliver the programs we have identified as important aspects of our women’s strategy. Lee has been an influential figure in women’s football over an extended period, as a player, coach and administrator. She was president of the Victorian Women’s Football League from 2004 to 2012, and has previously worked at the Bulldogs as Community Manager between 2005 and 2008. She played over 300 games in the Victorian Women’s Football League, and founded VFLW club the VU Western Spurs. Lee said, “I am looking forward to joining the Western Bulldogs and taking on the new role. I am excited about the Club’s vision for women’s football. 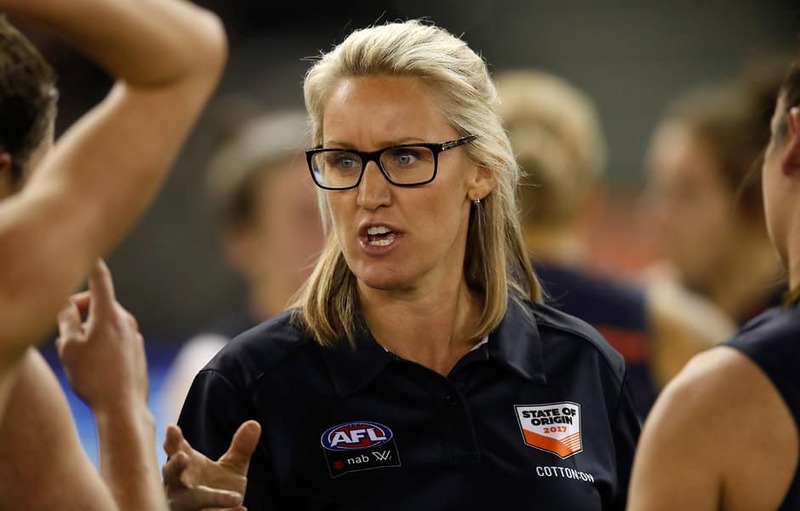 “The Western Bulldogs have been active in the women’s football space from the onset and have jointly driven the agenda for women’s football nationally. I am excited about the opportunity and joining the Club ahead of the 2018 AFLW season. The Western Bulldogs also announced today it has strengthened its partnership with the VU Western Spurs, and will field a Bulldogs team in the 2018 VFLW season of which Debbie will also be the Senior Coach.